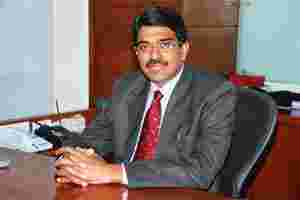 Big bets: NSL Group chairman M. Prabhakar Rao. Hyderabad: Hyderabad-based NSL Group, which has interests in fertilizers, sugar and power, plans to invest in Africa to secure raw materials such as coal and rock phosphate. It also plans to set up sugar mills in Ghana and Uganda. How important is Africa for NSL Sugars Ltd? The other area we are keen on investing in Africa is in fertilizers. India has always had a shortage of fertilizers and we don’t even have the natural resources to make fertilizers, which are available in Africa. Our idea is to manufacture in Africa, meet the local market demand to the extent required, and bring the remaining fertilizer output to India. I understand mining is also an area that you are interested in. For the fertilizer business we may get into mining rock phosphate in Africa. We also have power projects within our group. So, we are also looking for coal in Africa to meet our India requirements. We will look at mining only coal and rock phosphate. What levels of investments will these projects require and how do you plan to finance them? These are big-ticket investments that we may not make alone. We could tie up with private equity investors or strategic businesses that already have some kind of exposure to the fertilizer business. Likely partners could be international or Indian companies and not local African businesses. What do you mean by a big-ticket investment? Typically, a urea project will cost $1.2-1.3 billion and a diammonium phosphate or phosphoric acid plant will require around $600-700 million. These are the typical viable project sizes and investments will be in that range. What investments do you plan in Africa for your sugar business? We are looking at taking land parcels in Uganda and Ghana and are scouting for one or two more countries to do business. The plan is to produce sugar in at least two to three locations in Africa to spread our presence and risks. I understand your plans are to start fresh with sugar factories and not upgrade local dying units like some of the tea companies have done in Uganda. I don’t think there are such options available in sugar. While they are available for tea businesses, we have not come across such options for sugar. Therefore, our sugar businesses in Africa will be greenfield (new) projects. What investments do you plan for your sugar business in Africa? We have estimated our investment costs to be $150-200 million for the sugar business in Africa. But these are estimated and not budgeted or sanctioned investments. Do you expect roadblocks in your ventures? When we go abroad, challenges increase. But as the countries in Africa appear to look more and more towards growth, they will probably facilitate these investments in a better way now, than they did a few decades ago. Is cotton farming on your radar? We haven’t thought of cotton farming in Africa yet. Our focus is sugar. We estimate our country to face sugar shortages soon. By regulating the sugar industry, the government is indirectly chasing farmers to produce some other crop. Overall, sugar production is likely to stagnate or even come down a bit in India.